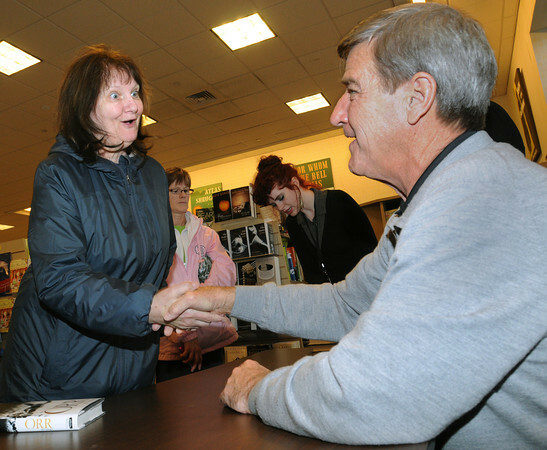 Patricia Stephenson shakes Bobby Orr's hand after he signed his new book, "Orr: My Story" for her. Orr was at Barnes and Noble for the promotion of his new book. Photo by Ken Yuszkus / The Salem News, Friday, November 22, 2013.